Today i am going to review some other great mineral products Known as NATURES BRILLIANCE BY SUE . Contains: Saponified Organic Coconut Oil, Organic Sunflower Oil, Organic Castor Oil, Meadowfoam Seed Oil, Vegetable Glycerin, Guar Gum, Rosemary Extract, Jojoba Protein HP, Essential Oils. NO PHTHALATES! Availability: Usually ships in 2-3 business days internationally. 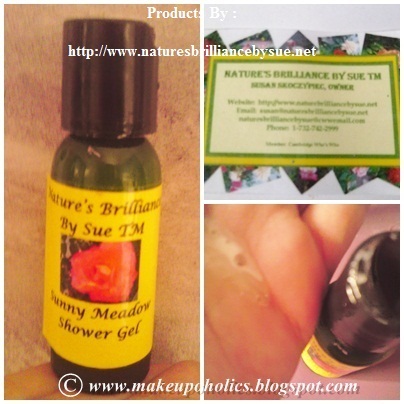 For more details about Natures Brilliance By Sue TM Sunny Meadow Shower Gel, CLICK HERE. I was already impressed by the product while reading the ingredients. The packaging is secure and user friendly . Having light scent of lemons or citrus . But apart from all these great features it didn't work for me . I used it in my last few showers , and i must say its a fine product. The only problem was that it did not leathers into foam . And my body skin is getting super dry and it did not help in moisturizing it very well. My skin felt little dried. On the other hand , my hubby , having an extremely oily skin , loved it ! So , my conclusion would be that this product works great for oily skin types and a NO for dry skin types. Ingredients: Natural Vitamin E, Organic Sunflower Oil, Castor Seed Oil, Olive Fruit Oil, Soybean Lipids, Cetyl Stearyl Alcohol (Vegetable Source), Vegetable Glycerin, Lecithin (Vegetable Source), Carnauba Wax, Candelillia Wax, Beeswax, Natural Vitamin C, Grapefruit Seed Extract, Essential Oils (EO), or Flavor Oils (FO). 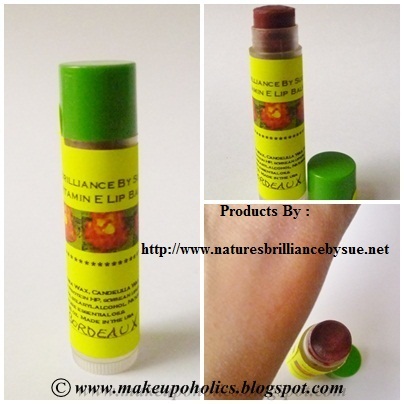 For more details about Natures Brilliance By Sue TM Sunny Vitamin E Lip Balms , CLICK HERE. My very first minerals based Lip balm specially when i desperately needed a good one. Nice packaging . Great ingredients . Good job Sue ! When i first swatch the product , i didn't liked its brightening red color on my hands .When i applied it on my lips , it looks more like that i am having a bright red shade of lipstick on my lips . 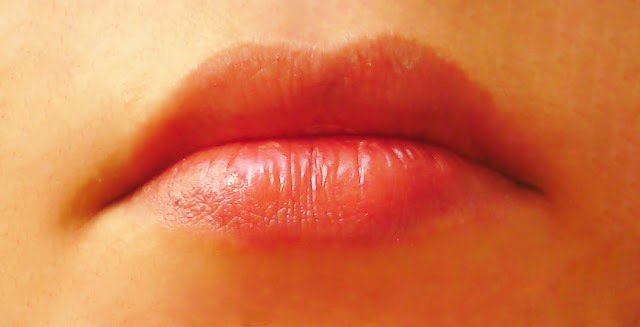 But within few minutes , my lips were giving the impression that they are naturally red. Believe me they were looking like healthy glowing red lips with no odds at all. After using it for few days , the color of my lips are naturally turning to red . I am quite impressed with this product. The only con is that my lips are little bit dried if i applied it before sleeping but may that happens because of my pregnancy hormones. Otherwise its a great.Really worth buying. All eye colors are made from the best minerals: mica, iron oxide, titanium dioxide. The matte shades are also made with Serecite (uncolored mica). Great pigmentation and quite easy to blend , i love the colors. But Faded Denim , Pear and Bubblegum are my most favorite ones. As you see from above swatches , all eye colors have some sparkles or shimmers which gives you that radiant look rather then matte finish. But this quality may turned to their biggest con during hot weather when you are already shinning from oil on your face. Well for that we have to wait till summer season. Till then i am in love with them. For more details you can check NATURES BRILLIANCE BY SUE WEBSITE. You can also join them on Facebook. Natures Brilliance By Sue TM Mineral Eye Color in Pink Mystique as a blush. 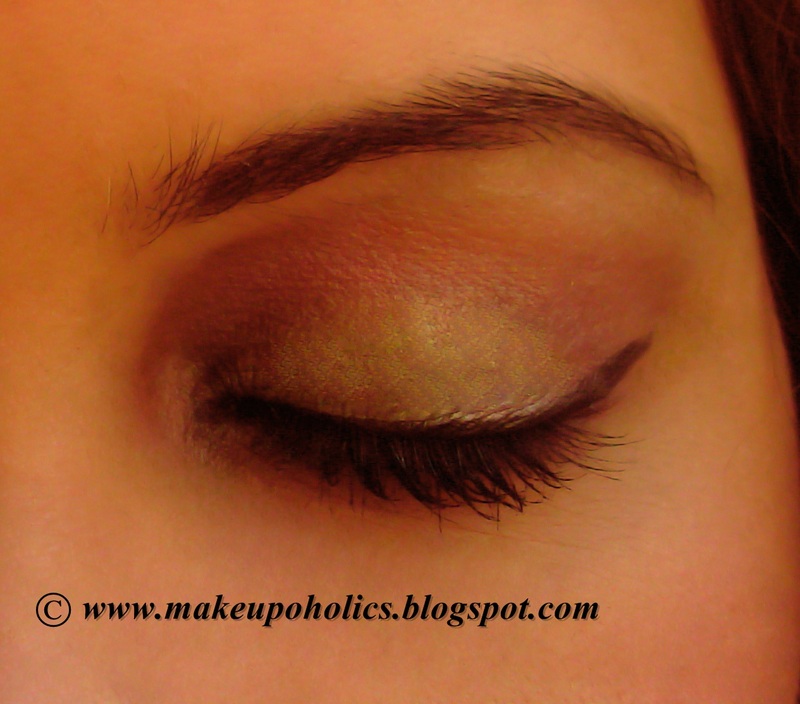 Natures Brilliance By Sue TM Mineral Eye Color in Primrose Princess + Pear. I have applied them with damp brush that's why they are looking less shimmery. Rimmel London Day 2 Night Mascara ( review soon ). ELF mineral lipstick in rich rasberry ( review soon ). Natures Brilliance By Sue TM Mineral Eye Color in Pear , Faded Denim and Bubblegum. I have applied them with damp brush that's why they are looking less shimmery. 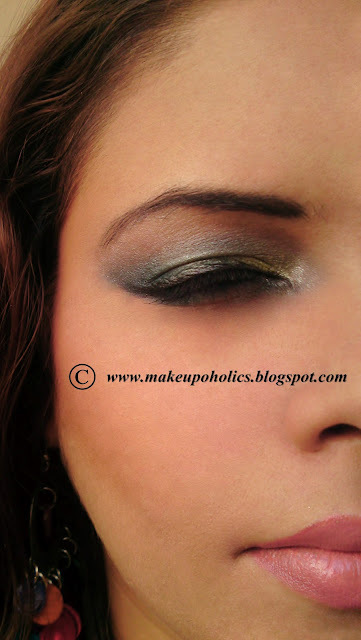 I love the eyeshadows! They are so nice and pigmented. 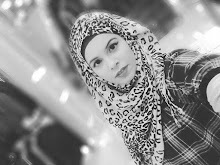 Great look Sana! Nice review. Shades are looking very cool .